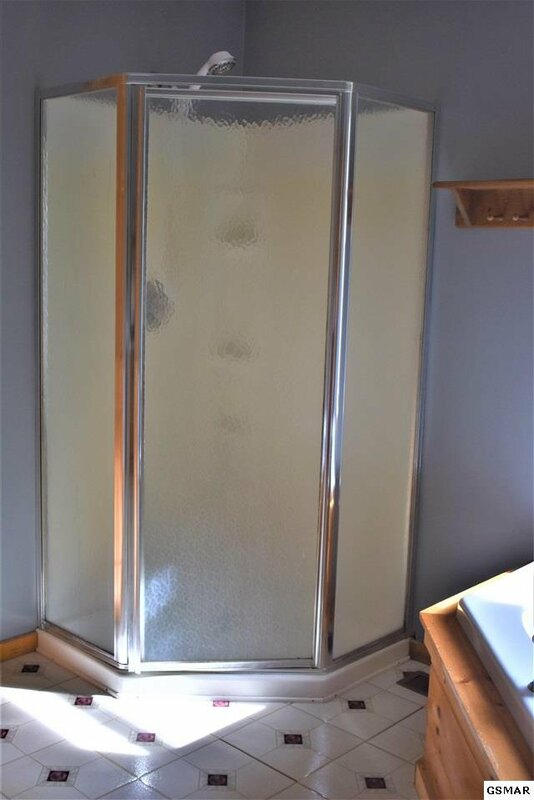 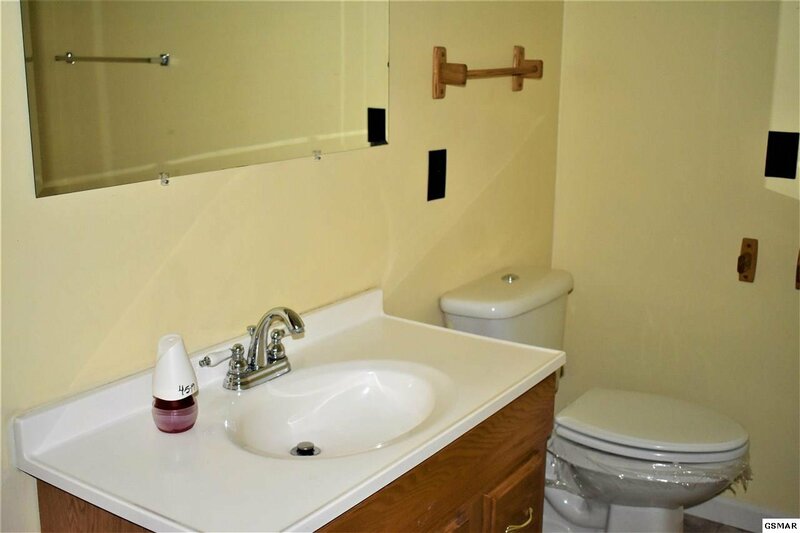 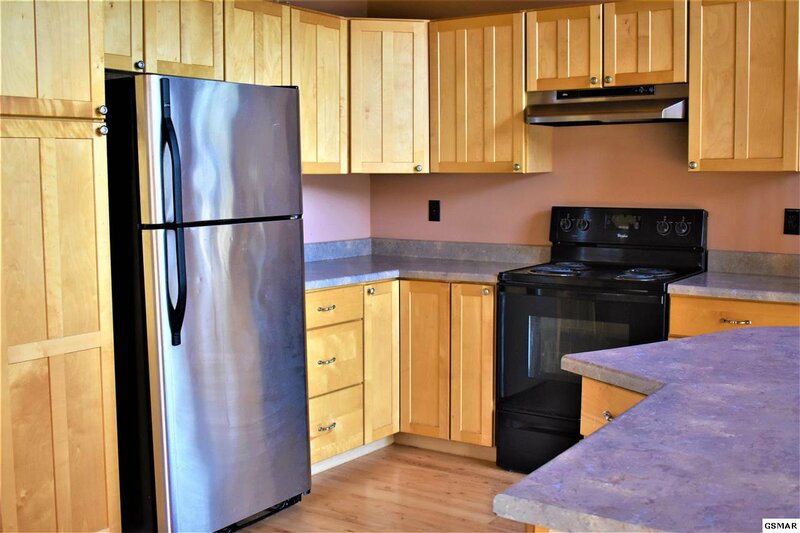 If location is a priority for you then this property will not disappoint. 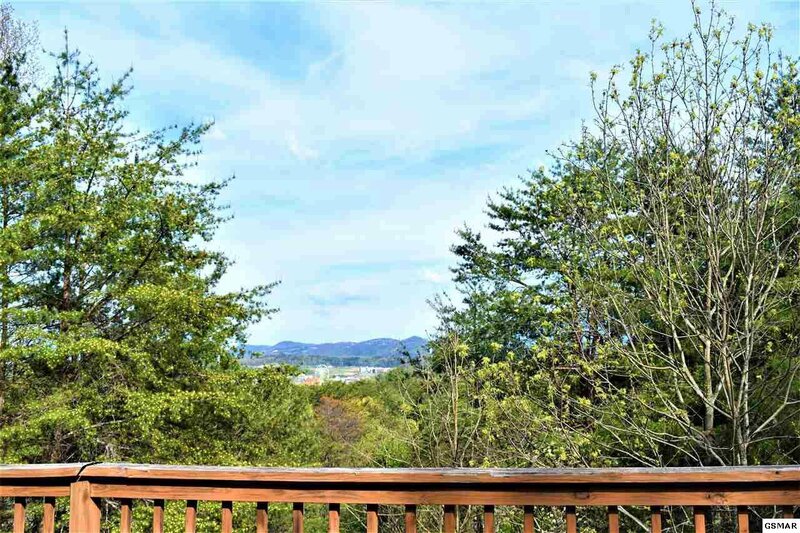 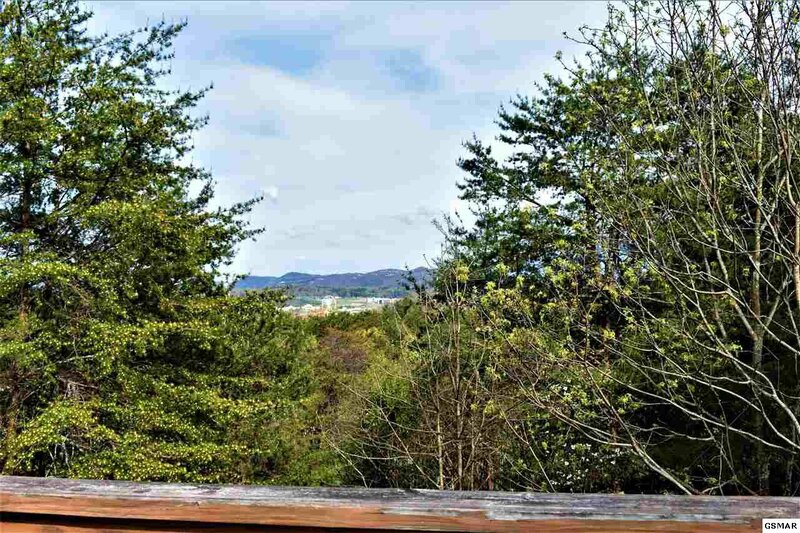 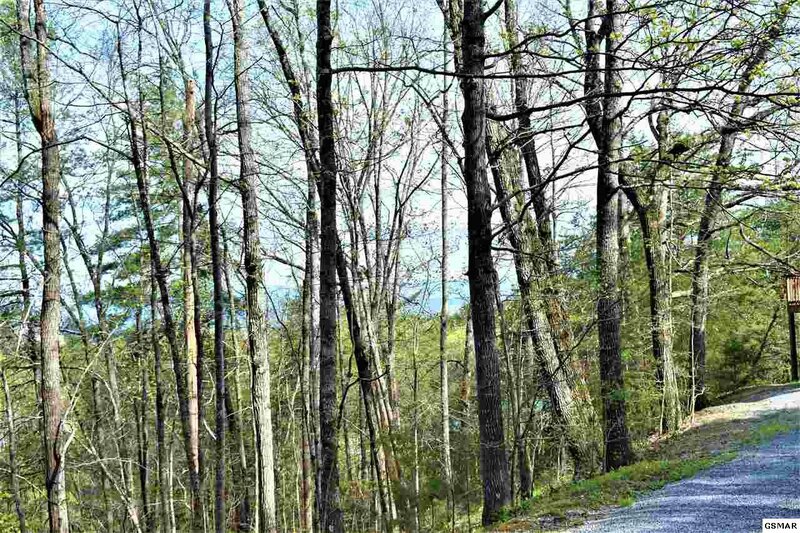 So close to the Parkway that you are just moments to all the fun attractions and fine dining that Pigeon Forge has to offer. 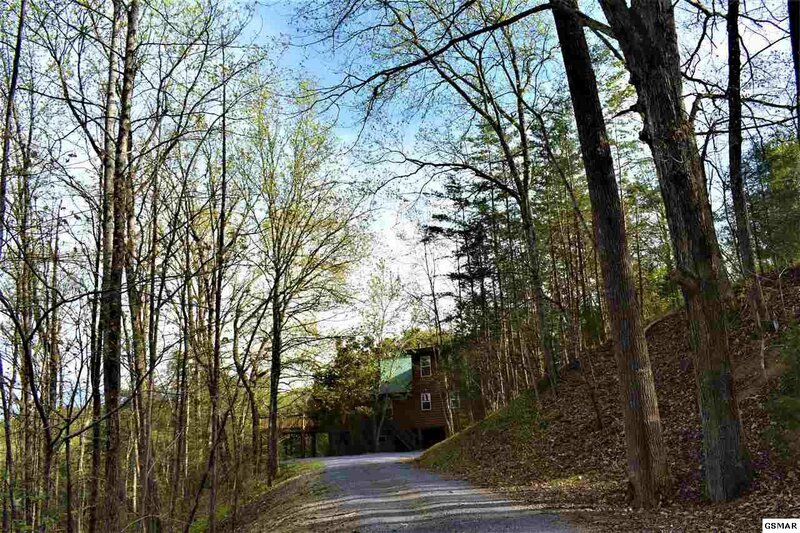 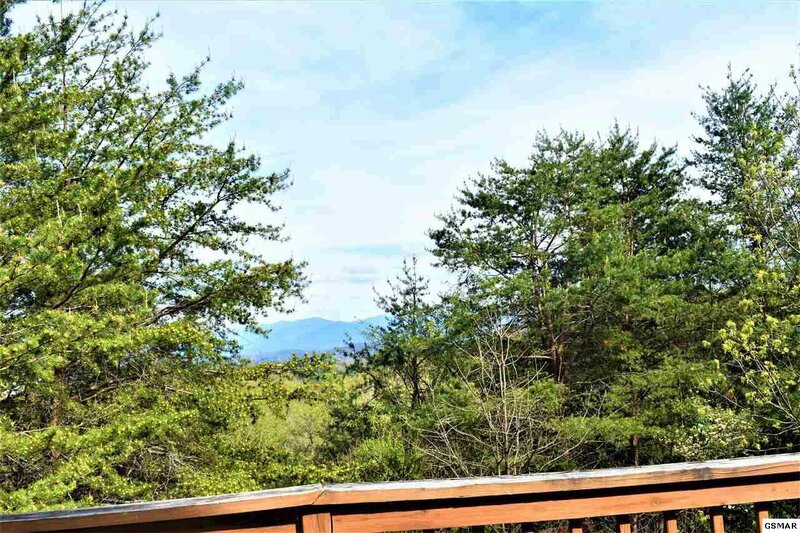 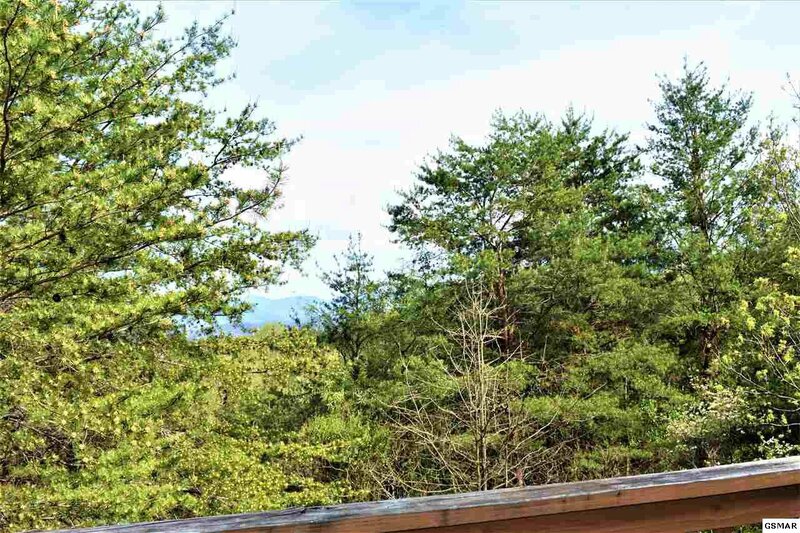 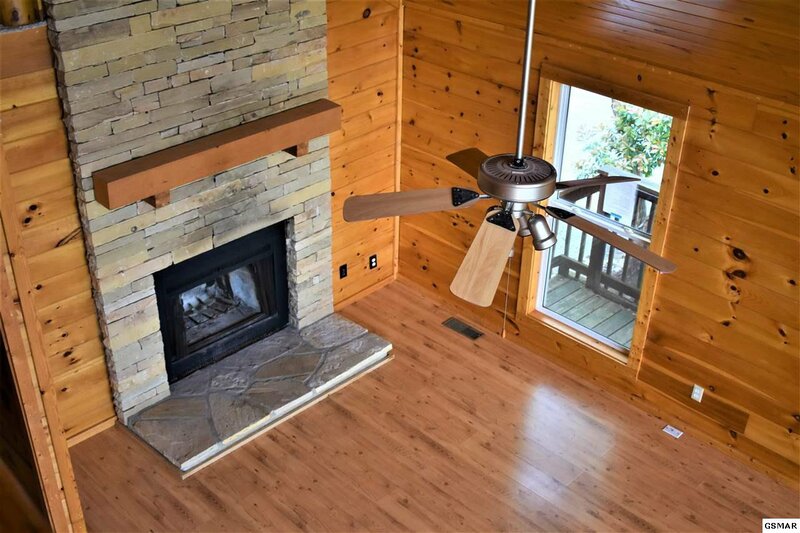 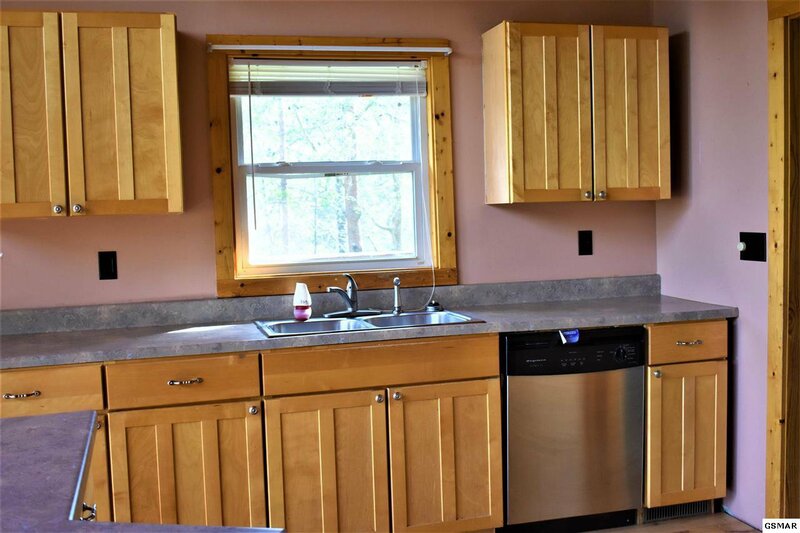 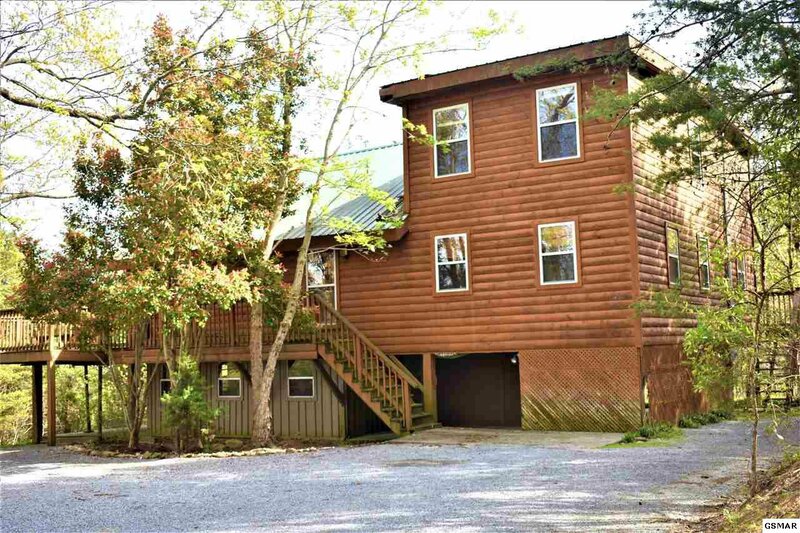 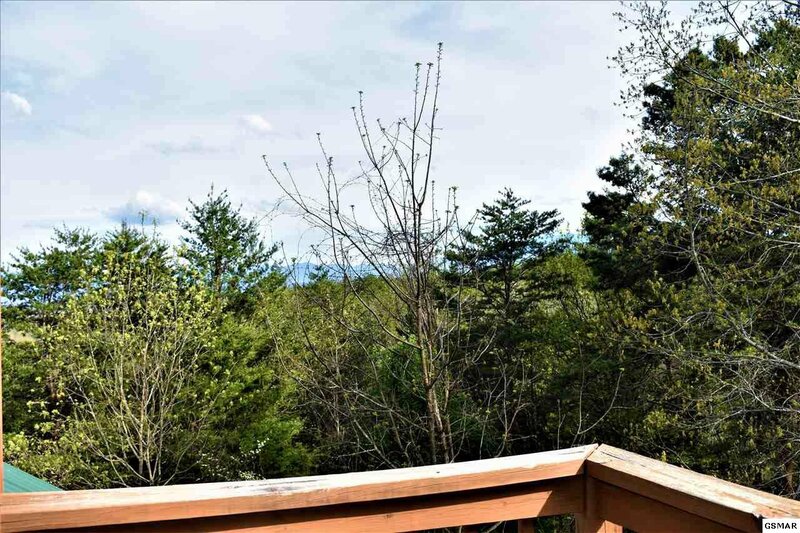 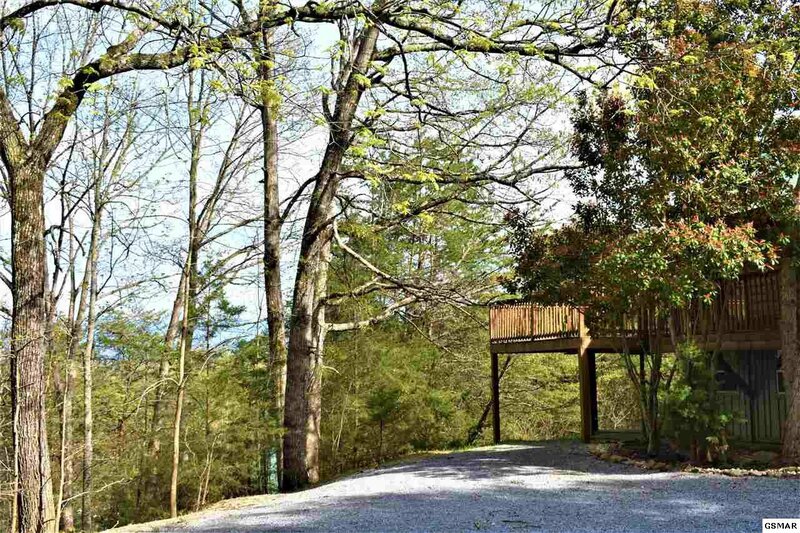 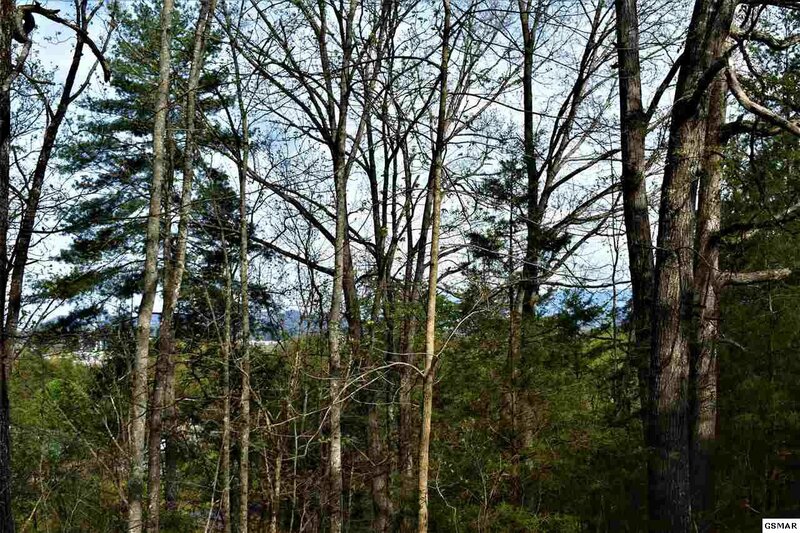 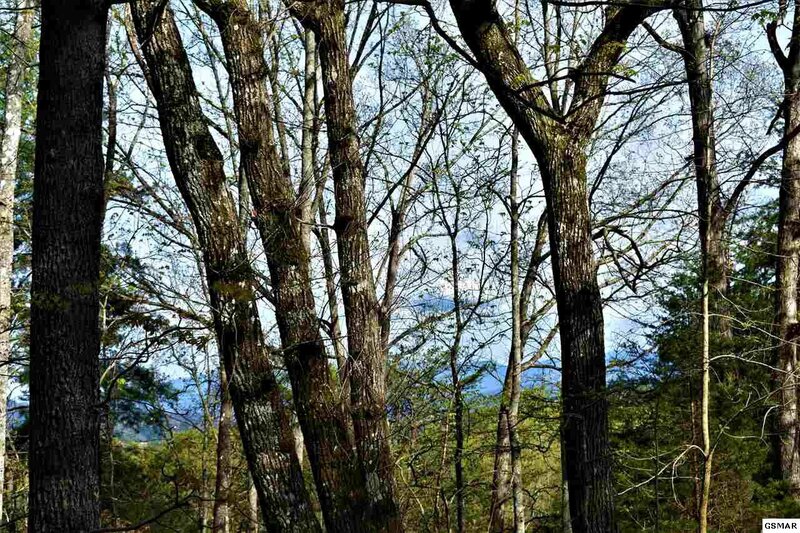 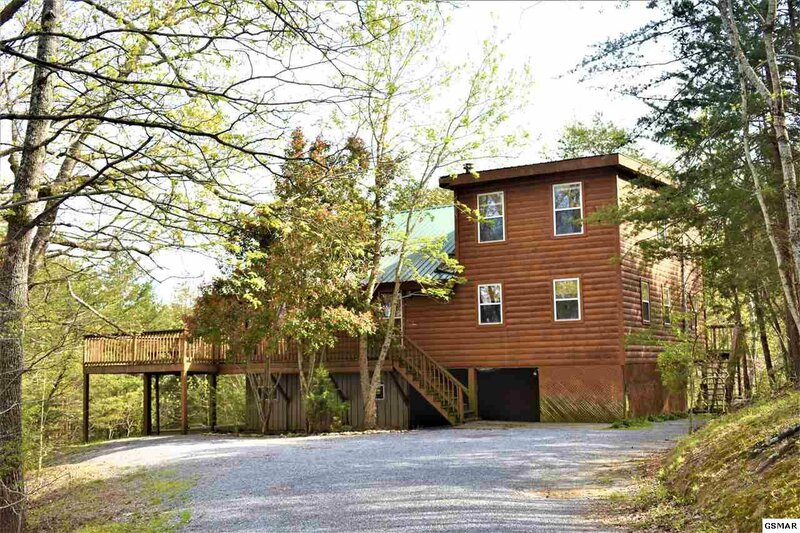 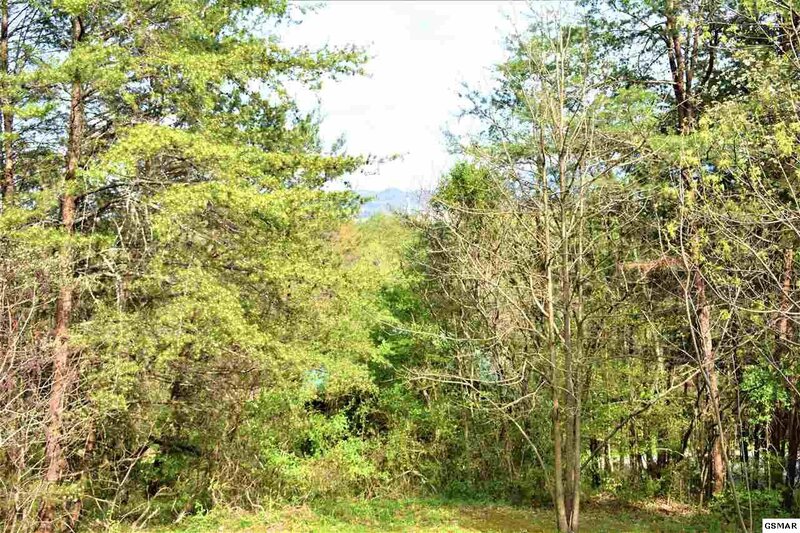 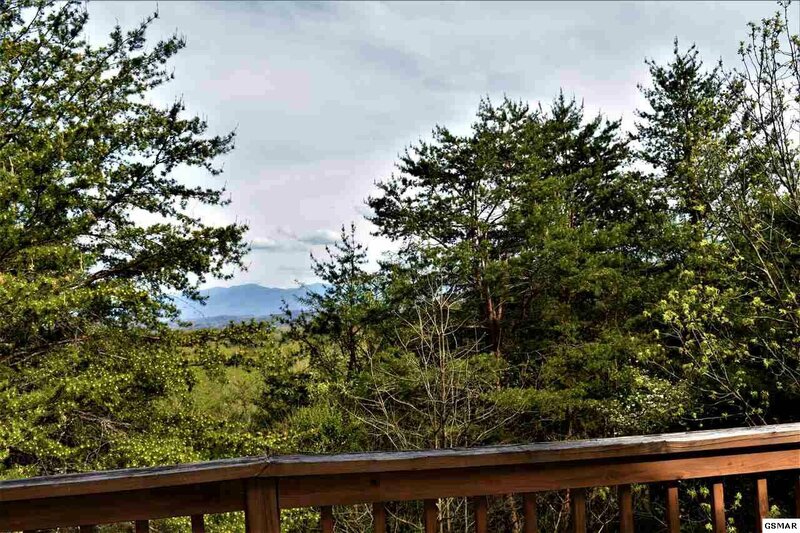 This 2 story cabin is nestled in a private setting amongst numerous mature hardwood trees. 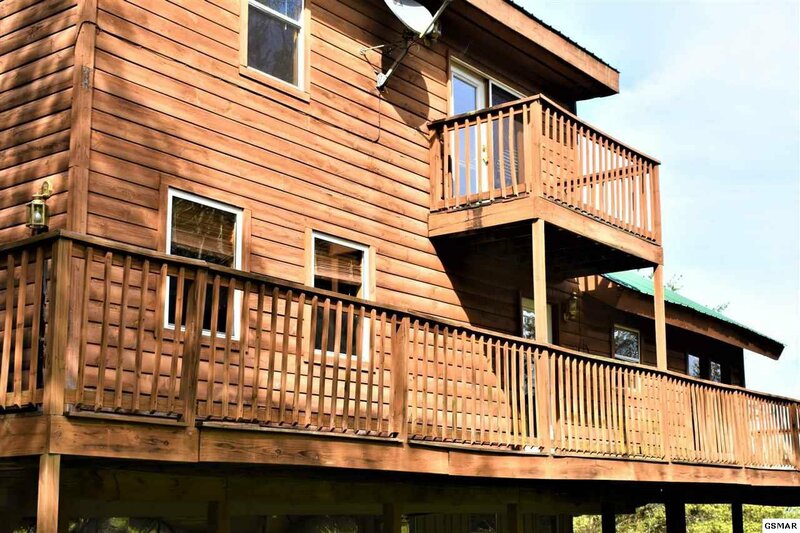 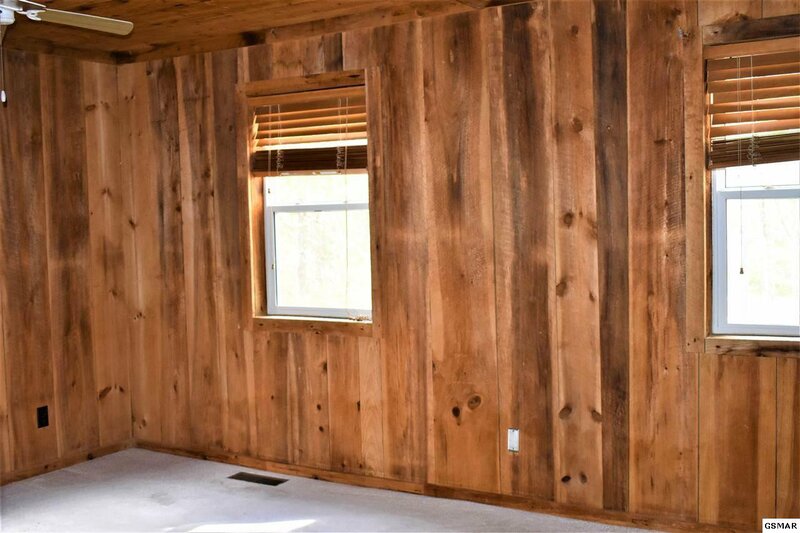 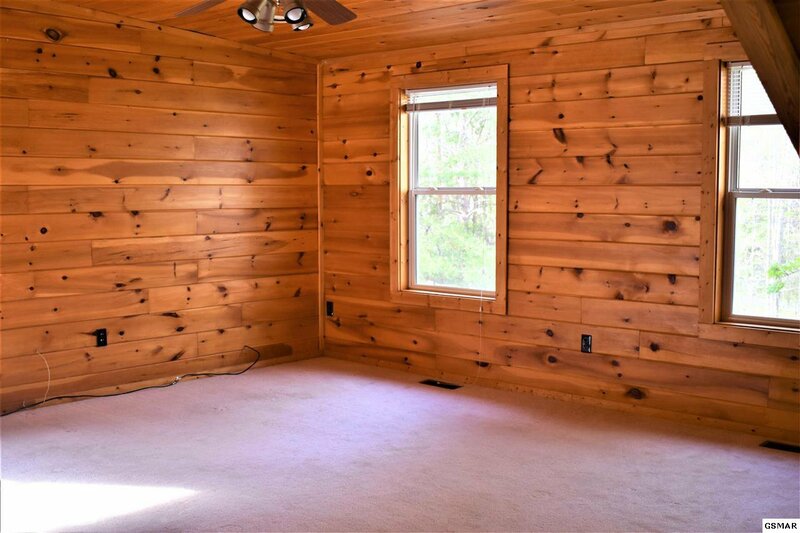 This home has a massive wrap around deck that could easily accommodate several rocking chairs, dining set and grill. 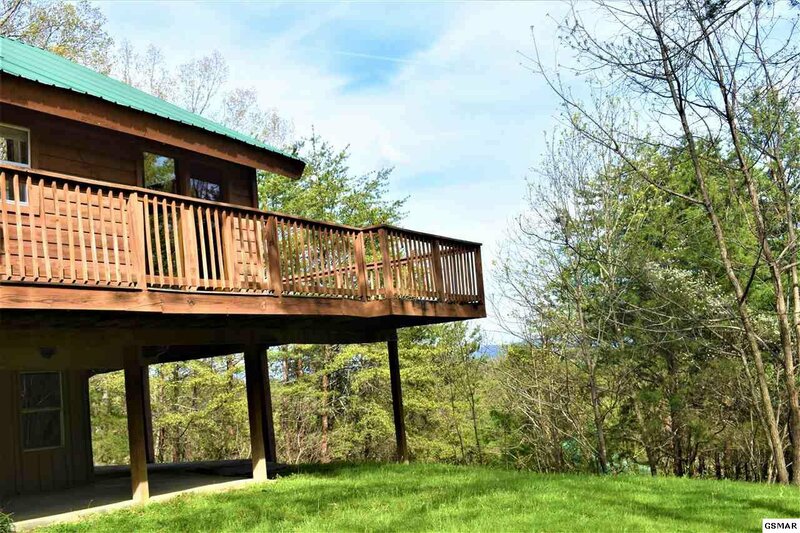 A perfect place to entertain and enjoy those majestic mountain views. 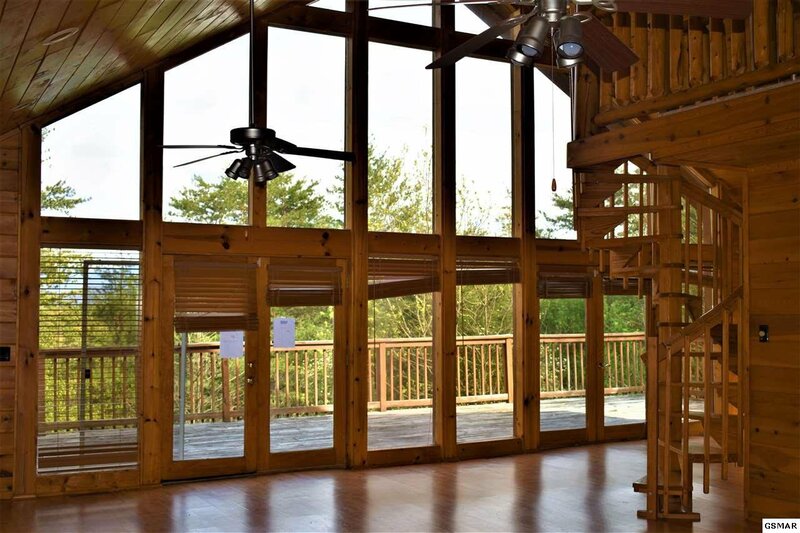 The great room has cathedral ceilings and floor to ceiling glass which allows in lots of natural light. 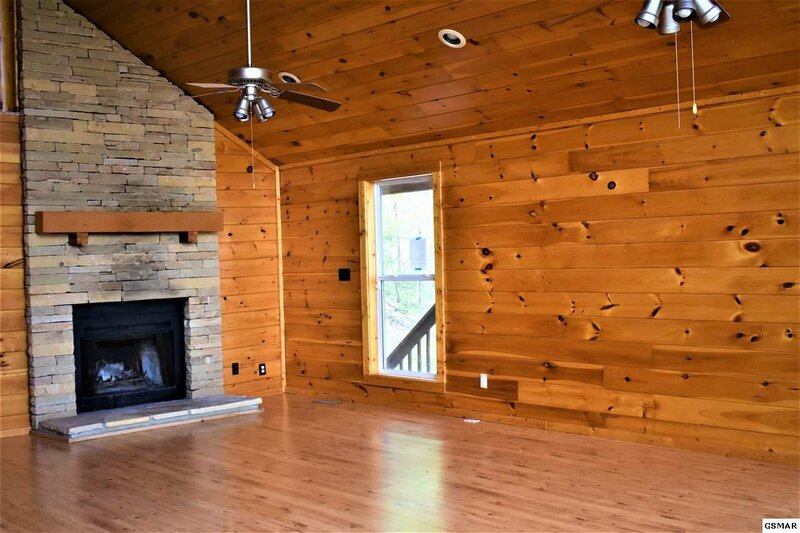 There is a real wood burning fireplace that is a focal point of this great room. 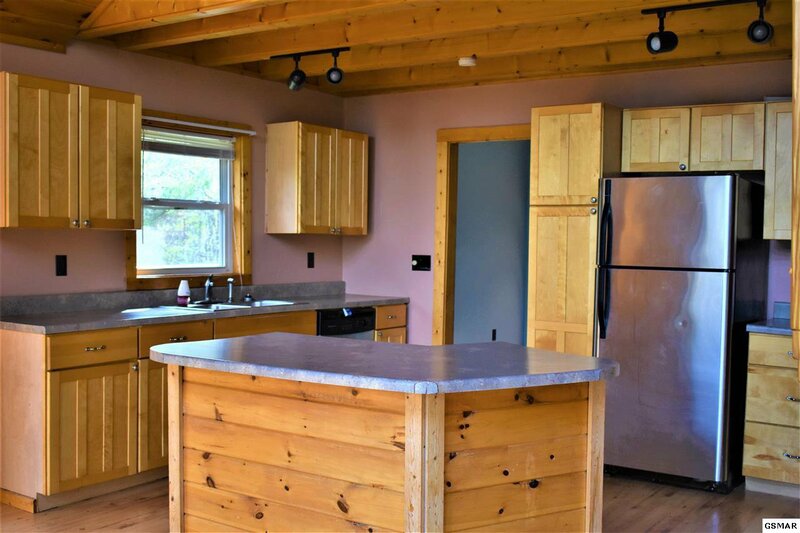 The wide open floor plan flows easily from the great room into the dining area and into the kitchen making entertaining a breeze. 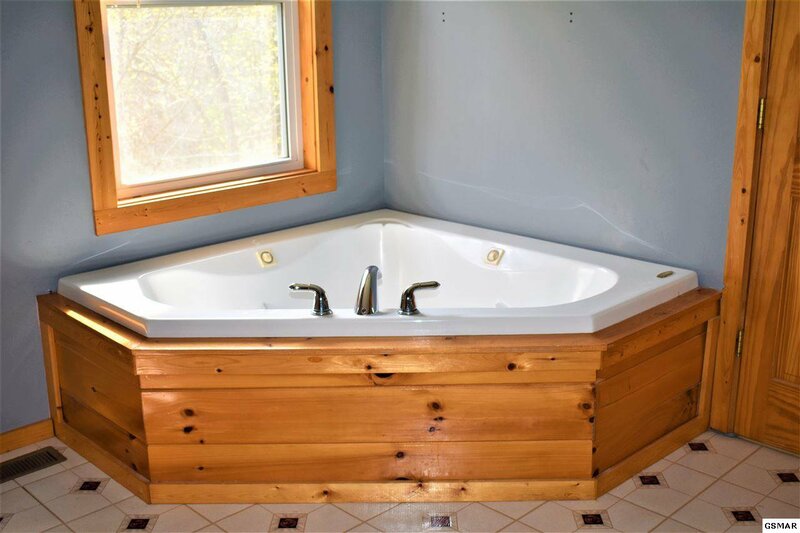 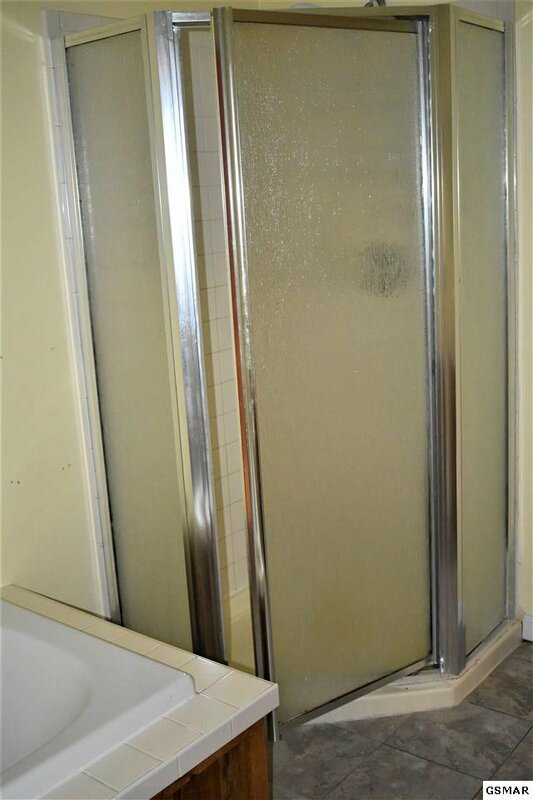 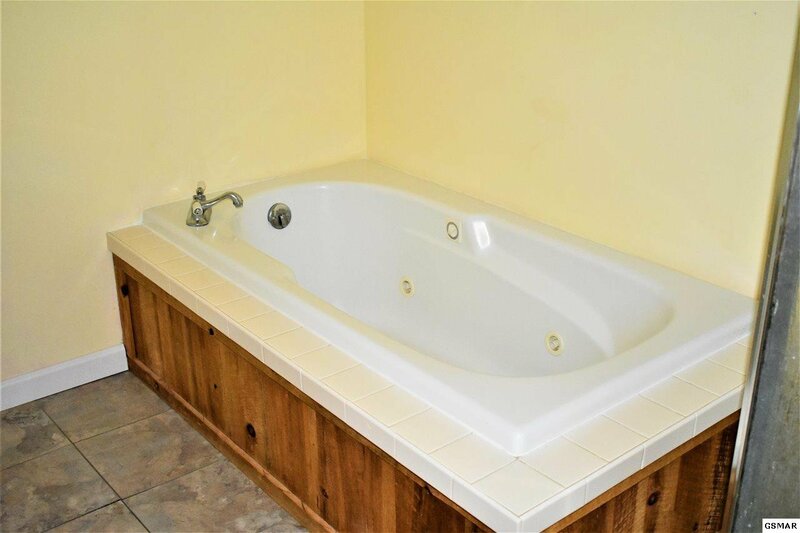 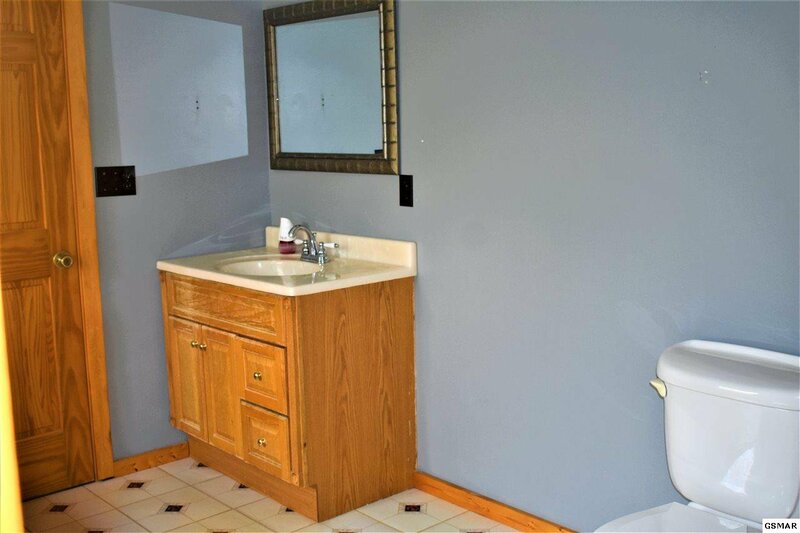 On the main floor there is a master bedroom and an en suite that includes a large jetted tub and separate shower. 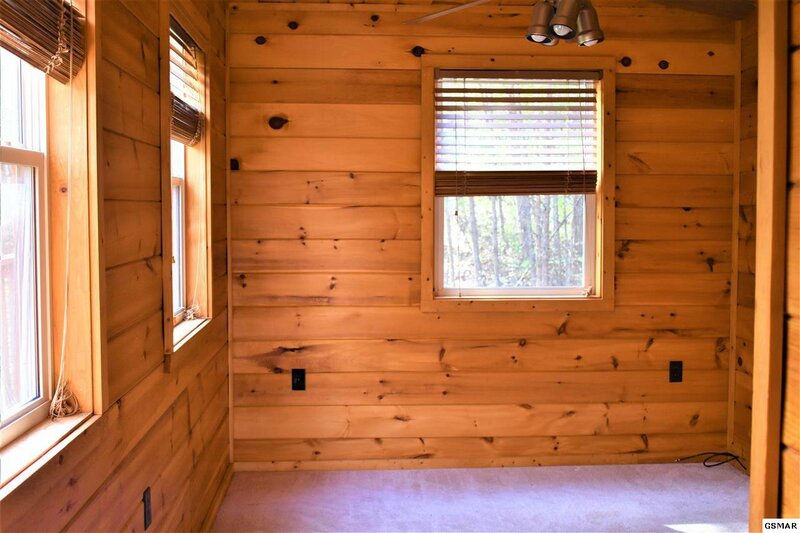 Upstairs there is an additional master bedroom with a similar en suite. 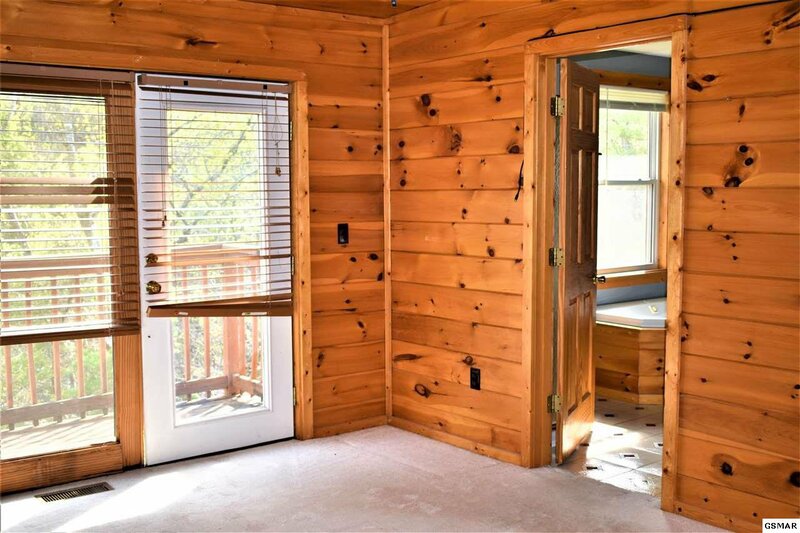 The upstairs master bedroom also has its own private balcony suitable for your morning coffee or an evening glass of wine. 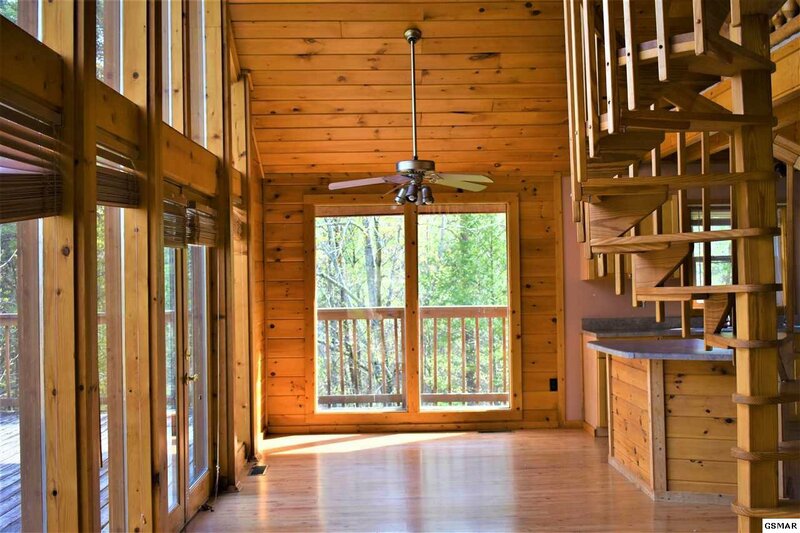 You will also find an enormous open loft ideal for a game room. 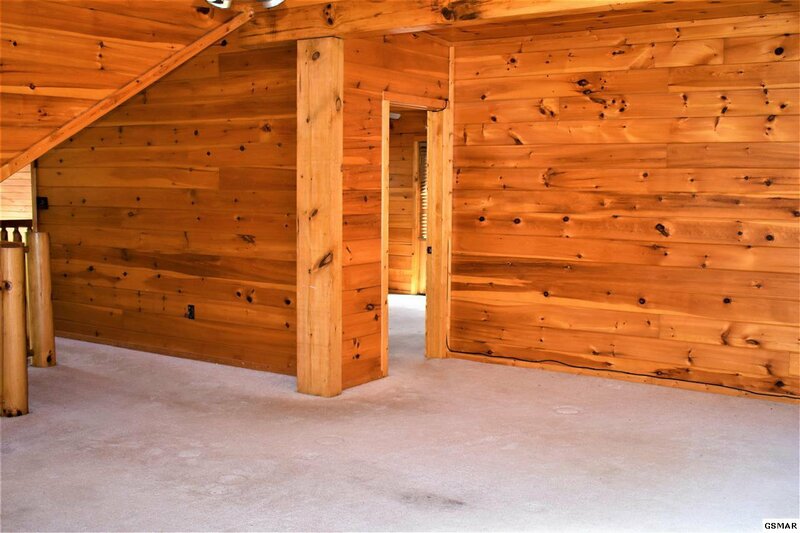 The upstairs also affords you ample room for guests. 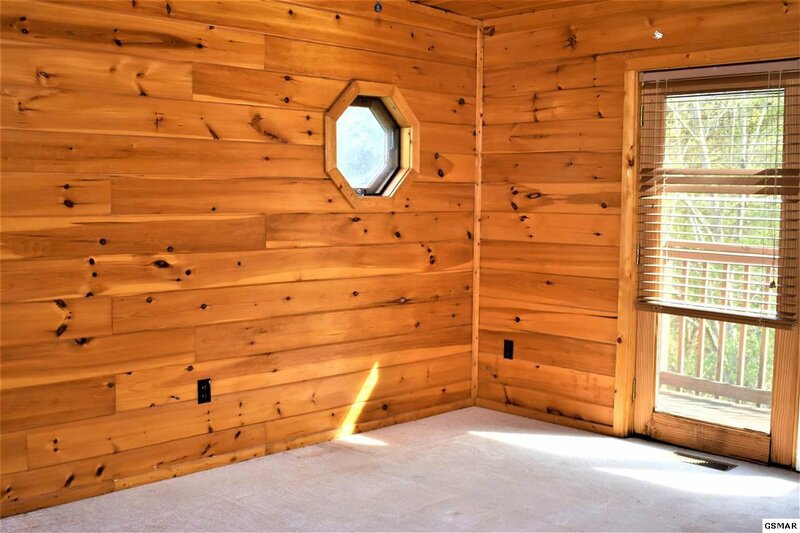 I believe this cabin will check off all your boxes. 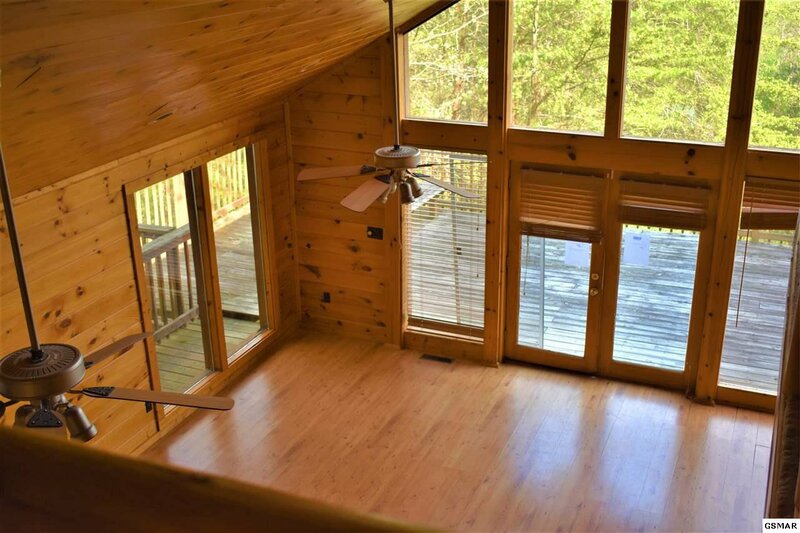 So if you are looking for a permanent home, a vacation home or an overnight rental cabin don't miss out on this awesome opportunity.